Android 8.0 ‘Oreo’ was officially launched in August making it the eighth major version of the Android OS. There is much excitement in the business community with this release because of the enhancements it brings to both enterprises and end-users. Dubbed as ‘a sweet combination of improved productivity and enhanced security for enterprise users’ Android O builds on the incremental investments by Google, to make the OS more secure, stronger and easier to manage. Oreo has a host of new features that make Oreo devices the most accessible, most secure and productive Android devices so far for enterprise use. Need Help!We can help you ideate, design and develop! Separation Of Personal and Work Profiles: Android OS includes an excellent feature called Work Profile – offering the best of both worlds to users – separating work and personal data so that IT has the security assurance it wants and users can still access their personal apps on the phone. IT has full control over corporate information and managing work data meanwhile keeping the employees’ data like photos and apps separate. With Android Oreo, corporate-owned devices can leverage the work profiles feature. It lets enterprises retain control over the mobile device separating work and personal data. This management mode is perfect for corporate-owned personally enabled (COPE) deployments. Zero-Touch Enrollment: Another exciting feature that Oreo brings is the zero-touch enrollment. This means that organizations can get employee devices up and running within seconds as the enterprise mobility settings are pre-configured. Users get the advantage of quick on-boarding and use the mobile phone right out of the box. Furthermore, you can pre-configure the mobile devices online and drop ship to employees who have the settings enforced right at the outset. Users can set up their work profiles with a single tap without further instructions or steps. Enhanced Enterprise Security: Android O has significant security enhancements in the platform that will ease many enterprise concerns to manage their device fleet. 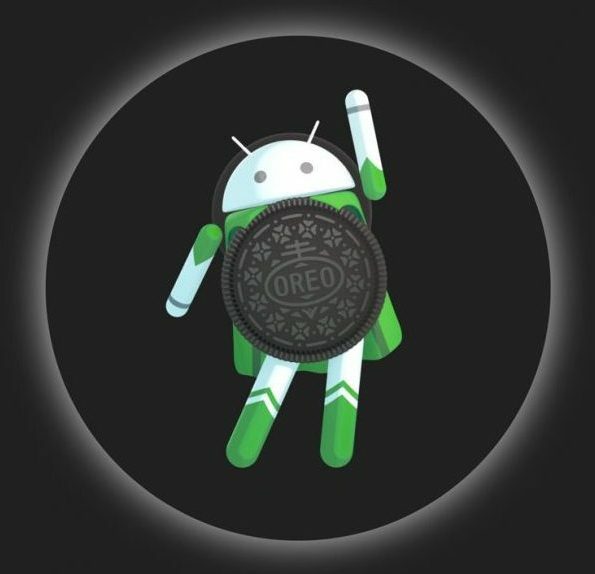 For instance, Project Treble in Oreo boosts security by splitting the core Android framework from vendor implementation. The modular approach restricts each hardware abstraction layer (HAL) to only its processes, so each HAL has access only to the hardware driver and kernel it needs. The improved sandboxing and beefed up framework make it difficult for compromises to breach the core. Google has also enforced stricter implementation of Google Play Protect – its always-on security service which scans devices for malware and blocks suspicious or harmful apps. Admins can now restrict risky or unknown apps from being installed on the whole device set even outside the work profile. New APIs are currently provided to allow admins to validate the security posture of their entire device fleet including details of apps installed. The release also includes secure password reset, for admins to quickly and securely help users with password recovery on encrypted devices. Additionally, admins can allow network logging for corporate-owned devices to note DNS lookups and TCP connections. Network logging helps enterprises to detect and thwart suspicious network activity and also debug apps remotely. Enhanced Device Performance: To improve battery life and boot performance, Android Oreo restricts the total number of simultaneous processes and limits location information collection. Another exciting feature is the Neighbor Awareness Networking (NAN) feature that allows devices connected to the same Wi-Fi network – to exchange data. With the help of NAN, users can relate to one another and share messages, pictures, videos, quite easily. With such powerful features and capabilities, Android Oreo helps the cause of enterprise mobility and innovation with its flexible and secure platform. Google Play Protect strengthens security and Management APIs enable admins to enforce controls and permissions across the fleet of devices. The flavor of Android Oreo is just as enticing for the business community as the world’s favorite cookie. Planning to develop an Enterprise App?Get in touch with us!